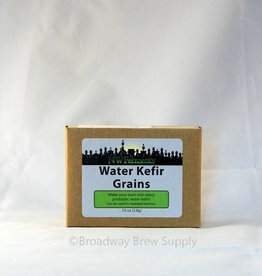 NW Ferments provides quality starter cultures for home production. Our goal is to enable people to improve their own health while saving them money. By making our own healthy foods, we help ourselves as well as our planet. While we are from the Pacific NW, we know that we have many kindred spirits worldwide. We met years ago while taking a community course on food preservation. We realized then that we shared an obsessive interest in fermentation. We decided to use our knowledge and expertise to create our own business: producing cultures and providing supplies and information needed for fermentation. We are excited about the increasing popularity of culturing and want to provide easy access to the tools needed for both newcomers and experts. Being good friends is just an added benefit! 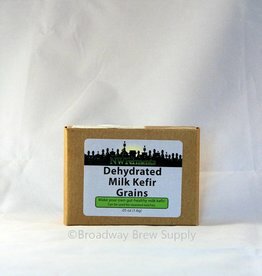 Use our live grains to convert cow or goat’s milk into gut healthy milk kefir. Use water & sugar to produce your own healthy , bubbly lacto-fermented beverage. 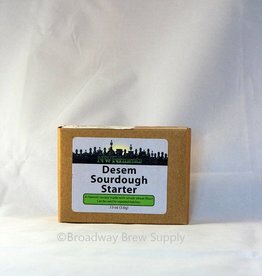 Make your own whole grain bread with a Flemish Desem (Dutch for “leaven”) Starter. 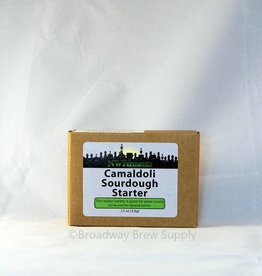 Camaldoli is ideal for pizza dough & Italian-style breads. It will culture at room temperature (70-77 degrees). No yogurt maker is required. 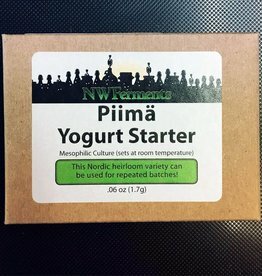 Reusable- by reserving a bit from each batch, you can continue making Piima yogurt indefinitely! 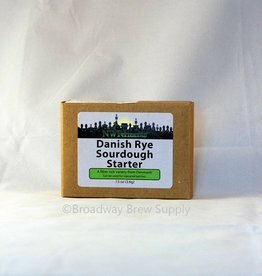 Make your own fiber-rich Rye sourdough. 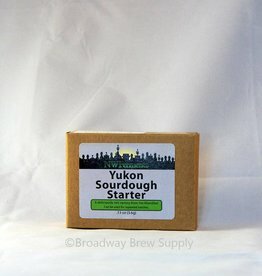 Make your own hot & crusty Yukon sourdough.